The pregnancy is coming to an end. I found out this morning that I will be induced on Tuesday morning unless of course something happens sooner. I will be 38 weeks tomorrow so this little guy has thankfully had two additional weeks of gestation over Juniper. All is well with the little man but he is not getting enough space to grow inside so best to get him out where he grow as much as possible. Although I will be taking today and tomorrow off from training, I have had a great and active pregnancy. I went for a trail run as recently as Wednesday, skied last Sunday, hiked with Juniper in the pack on Thursday and Friday, and rode my bike yesterday. Yes, I’m extremely thankful I was able to do all this right until the end. I have said it all along (and acted on it) but I feel very strongly that pregnancy is not a disease and not a reason to stop exercising. I have slowed and brought the intensity down significantly but have made sure to get out do what I love whenever I had the energy. Some of my friends and family think I’m crazy and that I should enjoy the time off but that would be miserable for me. I’m looking forward to meeting the newest addition to our family and enjoying some time getting to know him. Then I will be itching to get back in shape as soon as possible and add some intensity to my training again. The last day of winter brought true winter weather with new snow and lots of wind but that didn’t mean the first day of spring had to disappoint. Although Saturday was a little chilly, we had bluebird skies and dry roads for a family road ride. 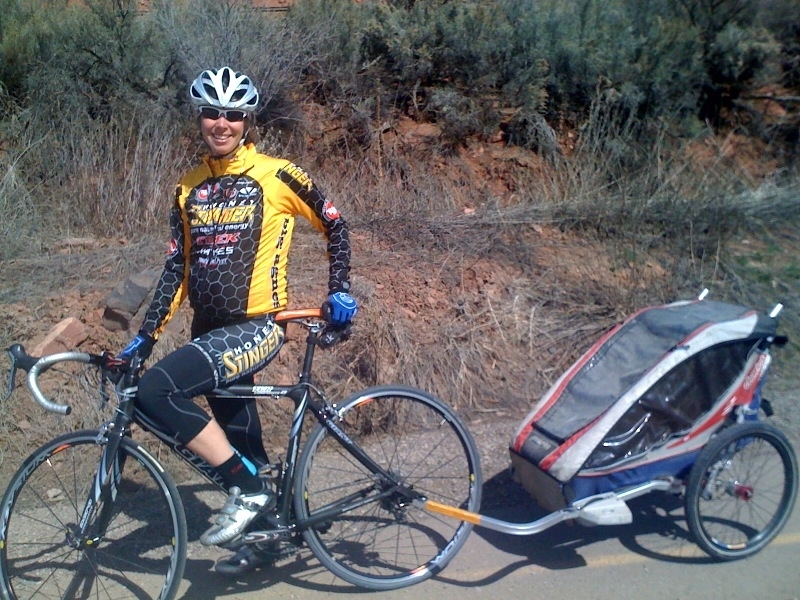 It is almost perfect for Ian to tow Juniper in the Chariot while I ride at a nice easy pace at nine months pregnant. Ian was able to get in a good two hour training ride with a nice push up a long hill while I enjoyed drafting the Chariot and staying comfortable. Spring skiing has officially begun and since the little man has decided to stay put in my belly, we decided to take full advantage of much warmer temperatures today. 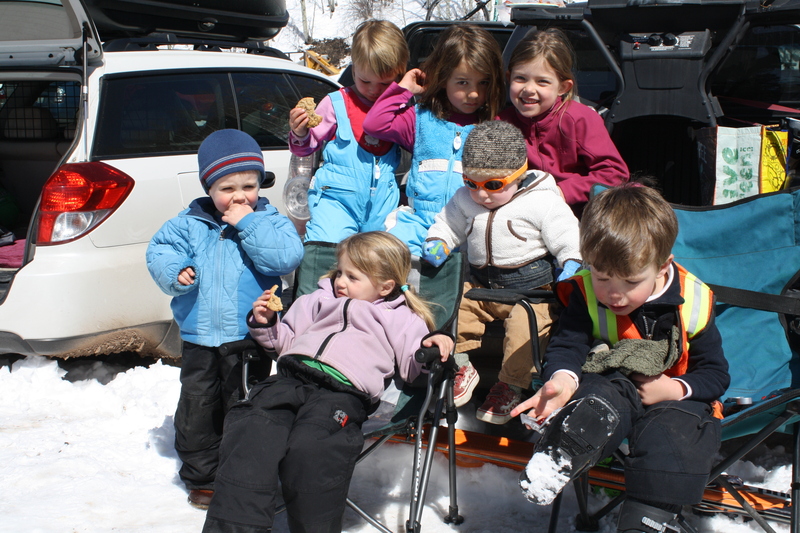 After skiing some runs with the kiddos, the adults set up a great barbecue along the parking lot at West Buttermilk to basque in the sun and hang out. Sufficiently full of food and fun, Ian headed out for another great road ride on the way home. It was so nice out this afternoon that I couldn’t hold back and had to get out for a ride myself once Ian made it home. It was my first road ride alone this year (no Chariot, no husband) and it was great to be out again. 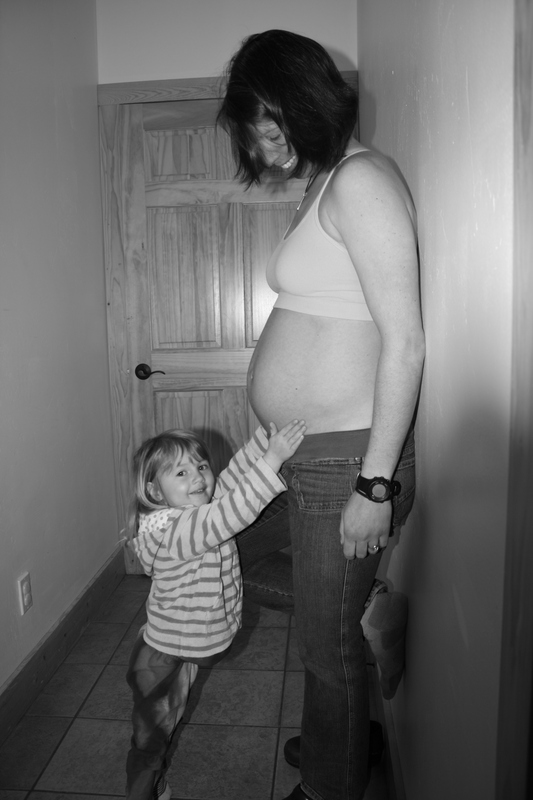 Despite a case of major indigestion and heartburn on my ride, it made me less anxious for the delivery of this child. I’ve been enjoying riding so much right now and am not looking forward to the break that I will need to take once he is born. The longer he stays put, the more riding I can do. Selfish? Yes, but healthier for all involved!